In 1982, Tarzisius Caviezel (born 1954) founded the electric installation company Elektro Caviezel AG in Davos, which now belongs to the Burkhalter Group. 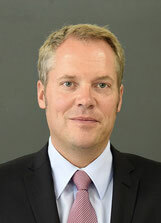 From 1996 to 2007 he was CEO of the Burkhalter Group and until 2012 also a member of the Group’s management board. From 2007 to 2011 he represented the Canton of Grisons in the Swiss National Council. As an independent businessman he had several managing mandates, amongst others as president of the Hockey Club Davos and in the managing board of the Rhätische Bahn. Since 2013, he has been directing the president’s department of Davos as mayor. Since 1991 Prof Richards has been based at the AO Research Institute Davos (ARI) performing R&D of fracture fixation devices. He is Director of Research and Development for the AO Foundation. Currently he holds three Professorships at Cardiff University, Aberystwyth University and the University of Freiburg. He is a Fellow of Biomaterials Science and Engineering and a Fellow of International Orthopaedic Research. In 1999 Prof Richards founded eCM journal (www.ecmjournal.org), one of the first online open access journals in the world. Since 2009, he has been director of the ARI and has reinforced the academic credibility through continuation in improvement in quality of publications, acquirement of national and international grants and keeping at the forefront of high quality international conferences, editorial boards and societies. For details of the work of the Institute see the ARI research annual reports (www.aofoundation.org/ari/activity-report). Both he and his family of wife and three children have their 'Heimatort' in Davos, though he grew up in Wales, GB with routes from Scotland and his wife is from Belgium, giving the children multi language starts in life. Since 2012, Dr. med. Walter O. Frey has been the leading physician of Balgrist Move>Med at the university hospital Balgrist in Zürich. 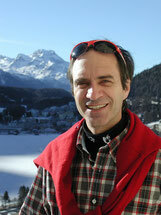 Until 2010, he was a sports physician at the Swiss Army and since 2015 he has been Chief Medical Officer of Swiss Ski. 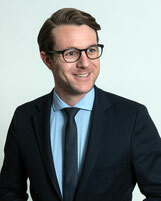 Walter O. Frey has a private and professional connection to Davos: During his childhood, he often spent his vacation in Davos. Later, he lived in Davos for several years, first as junior and later as senior physician of the Thurgauer-Schaffhauser Höhenklinik. During this time, he was responsible for the development and management of the sports medicine centre of Swiss Olympic in Davos as well as the rheumatolocig/physical departement of the clinic. 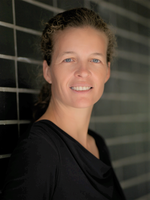 Franco Item leads the Swiss Text Academy as Managing Director. Moreover, he works as a TV editor, PR consultant, lecturer and research assistant. He actively engages in education policy. 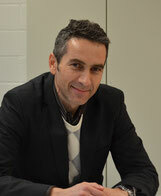 Within the Swiss Text Academy, Franco Item is responsible for the fields of Public Relations and Advertising. Urs Gredig is Editor-in-Chief of CNN Money Switzerland. After his studies in history and journalism, he worked as editor and producer and later as Great Britain correspondent for the Swiss TV Station SRF. Furthermore, he published the German book called “Gastfeindschaft” highlighting the role of Davos in the Second World War. Severin Gerber studied History, Latin and Political Sciences at the University of Berne. Since 2007, he has been a member of the school management at the Swiss Alpine Middle School in Davos, since 2015 as Director. Severin Gerber is married and has two children. biological processes, she is enthusiastic about science and dislikes pseudoscience. She grew up in Brig in the Canton of Valais and she is pleased that she settled on the track of the Walser population in Davos with her husband and the two children.